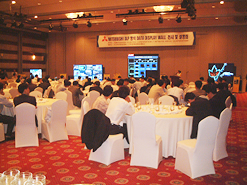 The Mitsubishi Electric "DATA DISPLAY EXHIBITION" was held in Seoul. 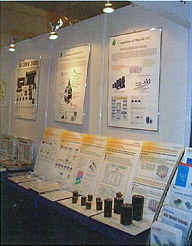 Seoul, September 28, 2006-The "MITSUBISHI DLP™ system DATA DISPLAY WALL exhibition" was held in Seoul (COEX). 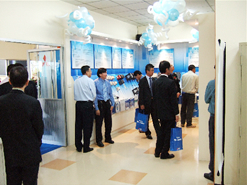 Not only the popular high performance and multifunctional model lineup, but also new models like much higher resolution SXGA+ model, overlay processor which can display two or more image windows in arbitrary sizes on 1 screen, front maintenance model which can be maintained in front of the panel, are exhibited in this show. We successfully appealed the high-technology of Mitsubishi product to Korean customer, and are strengthening to get more shares in the market. About 200 people participated in this show. They had really useful time to have a conversation with engineers who has hardly conduct with in ordinal life. 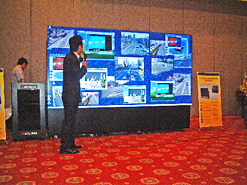 Now, DATA DISPLAY WALL in Korean market is mainly used as surveillance / control uses, such as traffic, a railroad, electric power, and a river. But from now on deployment to the new market of a public facility, educational facilities, an amusement, a broadcasting station, etc is going into a view. Many of the people involved in these new markets visited the show. The questionnaire total result showed that many replies having a hope for future, we are hoping that this show becomes one of the explosives of new market cultivation and keep following this project. JRD VISUAL & INFORMATION CO.,LTD. SCENE YONG SANG VISUAL INFO & COMM. CO.,LTD. 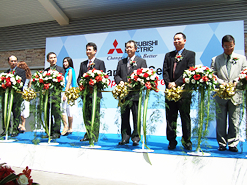 Bangkok, September 5, 2006, -The Opening Ceremony of Thailand FA Center was held in Mitsubishi Electric Automation (Thailand) Co,. Ltd.
Mitsubishi Electric head office FA Overseas Marketing Group also participated in this ceremony, they performed this ceremony successfully. Before this time, MITSUBISHI ELECTRIC ASIA Pte.Ltd.-Asia Purchasing Center of Singapore conventionally was only one FA Center which provides technical service to all Asean districts customers. But now, Thailand also has FA center which can provide individual service. And as to strengthen relationship with local Japanese companies, Mitsubishi head office dispatches a Japanese fulltime-engineer. 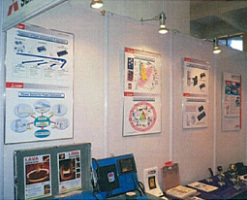 They can not only make a quick response of technical service in Japanese, but also offer information of new products. This center has the newest showroom to make interactive communication with a customer. Although we (SETSUYO ASTEC (THAILAND) CO., LTD.) also had the conventionally main technical support only by local company, but we plan to strengthen substantial customer service with this center. 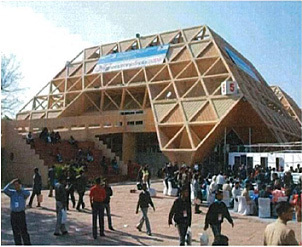 India, January 23-27, 2006 - India Electronics show, Componex/electronic India, Pragati Maidan was held In New Delhi. 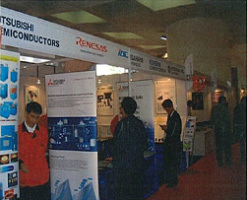 General-purpose semiconductors, such as the Renesas microcomputer / ASIC, Hitachi AIC aluminum electrolytic capacitor, Citizen Electronics chip LEDs and the optical module of the Mitsubishi Electric are newly added to exhibit, beside the product of Mitsubishi Electric, current sensor of Kohshin electric, and the Isahaya Electronics hybrid ICs. As our sales policy, the KIT sale by SYSTEM SOLUTION is sent to a main purpose for display this time that becomes the 2nd exhibition following last year. There was a big result, which can have a business talk with a broad purchase layer under each related company support including new exhibition by more substantial System Solution. Moreover, also in order to make each customer's voice reflect as much as possible, a resident office is established from our company (SES) in New Delhi, and the suitable proposal united with business opportunity is performed.